Helping couples to grow, heal, and restore the connection in their lives. Are you experiencing relationship problems, recovering from a break up or divorce? Is anxiety or depression keeping you from reaching your potential? Are you wanting to heal from past relationships and learn better relationship skills? Individual therapy can create a safe place for you to heal and create the quality of life you deserve. Are you currently in a relationship that is in trouble? Do you feel disconnected from your partner and wonder if you will ever have that connection back? Are you nearing a breakup or divorce and want to decide if the relationship can be saved? Are you newly wed or a couple preparing for marriage that is starting to experience conflict? Would you like to create safety, compassion, and understanding in your relationship? Imago Relationship Therapy can help you through a process of healing and re-connection. Imago Relationship Therapy provides all the tools necessary for transforming relationships, including some important, immediate relief. My goal is to help you understand your relationship, and give you the skills you need to restore connection. 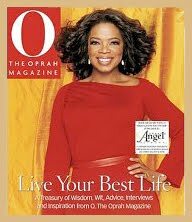 "I have found that when my relationships work, everything in my life works"
Imago on Oprah – for the 17th time! Oprah listed her show with Harville Hendrix and this way of working with couples as one of her Top 20 Shows throughout her 20 years of having her own show. This model changed her view of relationships. She also included an article, the Marriage Repair Kit, using the Imago model in her 2005 book, Live Your Best Life. "I know of no better guide for couples who genuinely desire a maturing relationship."